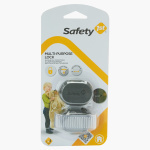 Safety 1st Multi-Purpose Lock | White | Multipurpose lock helps you childproof your home. Make your house childproof by getting this multi-purpose lock. Easy to install and extremely efficient, this lock keeps your kid safe from unwanted bumps. It effectively locks all kinds of furniture and domestic appliances like refrigerator, freezer, microwave, and more. Feature 1 : Multipurpose lock helps you childproof your home. 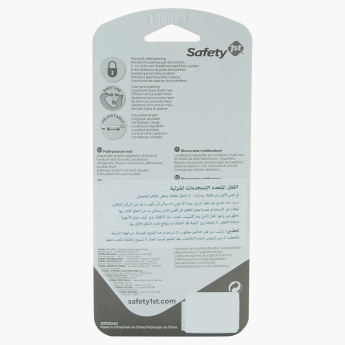 Feature 2 : The adhesive fixing system of this child safety essential makes it very easy to install.